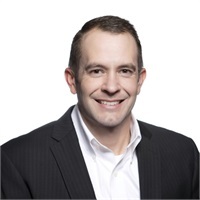 Clay Blair, MBA | Collier Wealth Management, Inc.
Clay Blair began shaping his career path as an advisor in 1997 when he joined a local CPA firm in Nashville, TN as a staff accountant. Then in early 2001 he transitioned from accounting to the role of financial advisor for families, individuals, and business owners with Edward Jones Investments. Clay moved his wealth management practice to LPL Financial in 2006. Clay feels the most rewarding aspect of his chosen profession is the wonderful relationships he has cultivated with his clients over the years. He believes that forming relationships built on trust is critical in being able to help his clients work toward achieving their financial goals. Clay graduated from Tennessee Technological University with Bachelor of Science in Accounting and went on to graduate with a Masters of Business Administration from Middle Tennessee State University. He also holds his Series 7, 63 and 65 securities registrations through LPL Financial, as well as, his Life and Health Insurance licenses. When Clay is away from the office he enjoys spending time with his beautiful wife of 20 years and his three wonderful daughters. He also enjoys cycling on the rural roads of middle Tennessee (and yes, he and his wife watch the Tour de France every July).